Last year saw numerous examples of technology entering the fashion industry, from Nike’s Hyperadapt 1.0 to ZZegna’s Icon Warmer jacket. The biggest announcement was Levi’s Commuter Trucker Jacket with Jacquard by Google. Tech inventions are rapidly re-shaping fashion’s future. Electrically conductive threads that can power low-energy devices and jackets with battery packs that warm you and (one day) charge your phone. These are not science fiction, it’s reality. And in a couple of days, the Winter Olympics will showcase several brands that are taking the fashion-tech merge forward. Tech-loving hipsters, you’ll want to get your hands on these. The Ermenegildo Zegna Group has explored tech in fashion for a long time. Some years ago, they unveiled a zip-up jacket with an integrated solar panel for charging devices. It may have been too far ahead of its time. Not anymore. The Icon Warmer is made from a water-resistant technical fabric and has a battery-powered heating system to stay warm. It blasts heat in 40-second intervals, getting the jacket to a balmy 28 degrees C in under a minute. That should be very comfortable for winter. 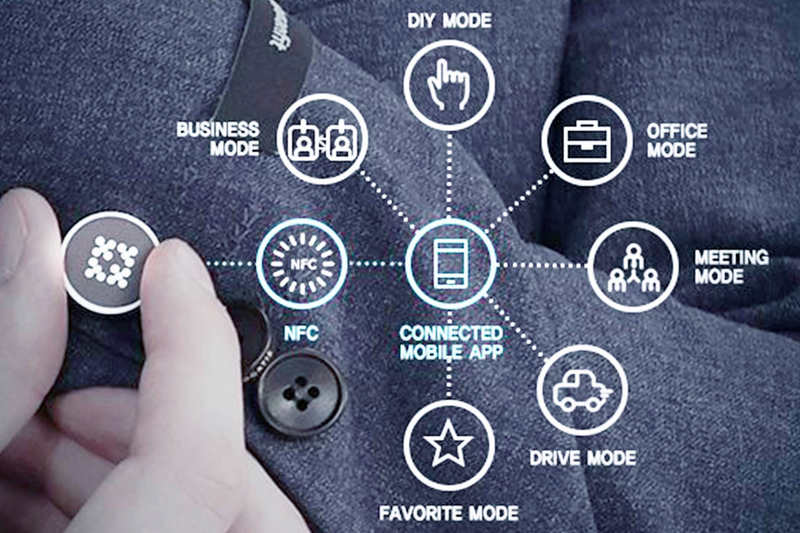 The battery pack lasts for 11 hours and is recharged via the jacket collar. It was first unveiled 2 years ago, and today it’s a regular in its winter lineup. Ralph Lauren has dressed the Team USA for several years now, but they have never faced such a challenging event as the Winter Olympics. If you’ve ever been to Seoul for skiing, you know what we mean. Temperatures often reach -20 deg C and that’s not counting the severe winds that come in from Siberia. This year’s Olympics are predicted to be the coldest since 1994 edition in Norway. The company bonded strips of electronic, heat-conducting metallic ink. Made using silver and carbon, it acts like an electric blanket. A battery pack is embedded in the parkas, and when activated, a current runs through the strips and warms the jacket. The battery pack lasts for up to 11 hours, and there are three heat settings for the sportspersons. But smart clothing does not stop there. In fact, there are a plethora of other smart clothing that have arrived on the market. Here are a few others more relevant to our regular lifestyles. NBA fans who buy a jersey today of a player will find that the clothing contains an embedded NFC chip. It gives them exclusive access to specially created content via the NikeConnect app on a smartphone. Content ranges from players’ favourite playlists to pre-game footage and more. The opportunities for Nike’s Connected app are endless, as well as its NFC chip opportunities. Smart clothing by Samsung has included the Body Compass workout shirt, and a golf shirt that provides weather and UV rating information. But Samsung has taken that further with a business suit created with partners Rogatis. It allows wearers to unlock their phones automatically, exchange digital business contacts and more. Future possibilities are exciting to say the least. Let’s hope Samsung takes a leaf out of Levi’s wallet and integrate music control into the suit in the future.